There are approximately 80 million pet dogs in the United States alone, and the complex and deeply emotional bond between humans and dogs goes back centuries. It’s no surprise, then, that a large percentage of our fiction, films, and TV shows feature dogs as either props—or center on them as characters. 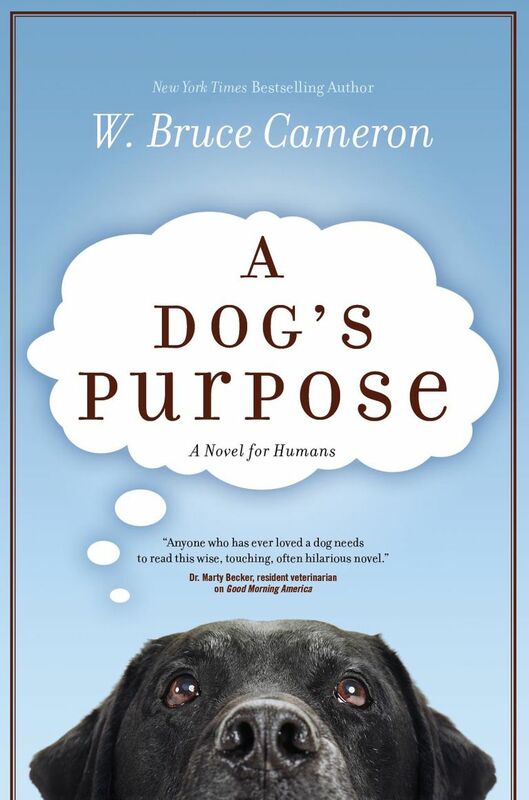 In fact, in 2017 one of the most-promoted films hitting U.S. theaters was A Dog’s Purpose, an adaptation of W. Bruce Cameron’s novel of the same name. In fact, despite having been originally published in 2010, A Dog’s Purpose hit the bestseller lists again in 2017, in part due to the promotion of the movie. The book, about a dog who finds himself continually reincarnated into new lives as he searches for his purpose in existence, is a powerful reading experience, even if you yourself have never had a pet dog. The themes are universal, as the dog, initially named Toby, experiences several lives, some better than others, and dies several times, only to wake up again. Becoming convinced that he must find his true purpose in order to stop the cycle and find peace, the dog thinks at times he has done so, only to be surprised when he is born again. If that sounds similar to the struggle for purpose we all face, then you’ve hit on why A Dog’s Purpose has been such a success. Of course, the author, W. Bruce Cameron, is no stranger to the bestseller lists. His self-improvement book 8 Simple Rules for Dating My Teenage Daughter was a smash in 2001 and was later adapted into a television sitcom. And he’s no stranger to dog-related books, either, having penned several more dog-centric books since A Dog’s Purpose. And, of course, dogs—being so durably popular and beloved—are no strangers to the bestseller lists themselves. In fact, here are five books other than A Dog’s Purpose that have hit the bestseller lists over the years. Cujo is, of course, a whiplash-inducing change of tone from A Dog’s Purpose—we would strongly advise you not read these two books one after the other. 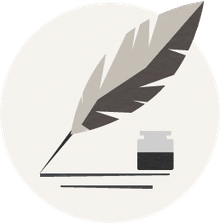 Published in 1981 in the initial heyday of Stephen King’s dominance of the bestseller lists, King admitted in later interviews he “barely remembered” writing it due to his substance abuse issues at the time. Other writers, no doubt, look on with intense jealousy at a man who can write such a great novel under such conditions, but what’s remarkable about Cujo is how little horror is in the story—considering that being a horror writer was King’s main claim to fame at the time. In fact, some might argue it’s not really a horror novel at all: It has no supernatural elements, and for much of the story the focus is on the messy lives of the characters—their deceptions and plans. That doesn’t mean Cujo’s not horrifying; the slow degeneration of a beloved dog due to rabies is both heartbreaking and terrifying. And whatever condition King was in when writing the book, the end result is a compelling piece of fiction that remains one of his most popular stories. Depending on your age, your familiarity with Lassie will vary. First introduced to the world in a short story in 1938, Eric Knight expanded the story into the novel Lassie Come-Home in 1940, which was adapted into a film a few years later, sparking several more film and television adaptations. For a few decades, Lassie was a fixture of American pop culture. No book in current memory goes right at the heart of our bond with dogs the way Marley and Me does—not even A Dog’s Purpose, which focuses more on the interior life of a dog. tells the true story of an adopted puppy who is destructive, ill-behaved, and often exasperating. And yet the family who takes him in comes to appreciate his love, loyalty, and personality even as they plausibly suspect mental illness might explain his uncontrollable behavior. The story follows Marley’s thirteen-year life and discusses (this isn’t really a spoiler, as its central to the book’s marketing and discussion over the last decade-and-a-half) the family’s grief when Marley passes away. This stark reminder that dogs have a short life, compared to us, makes the emotional impact of this story (adapted into a film in 2008) second to none. Stein’s 2008 novel stormed the bestseller lists with a similar theme to A Dog’s Purpose. Enzo, a dog owned by a race car driver and salesman in Seattle, comes to believe in a Mongolian legend about dogs that states that a dog “who is prepared” will be reincarnated in the next life as a human. Enzo dedicates his life to this idea, watching television and observing the humans around him in order to be prepared for this coming transformation. Enzo winds up being of great service to his owner in part due to the insights into human nature he gleans. The ending is almost certain to make you cry, no matter how hard you try not to. We won’t spoil it here, but you can likely guess, or wait for the film adapation. The Call of the Wild, by Jack London. More than a century on, London’s 1903 novel remains one of the most famous and powerful depictions of a dog in modern fiction. Told from Buck the dog’s point of view, the story follows his life from its beginning as a pampered pet, through kidnapping and pressing into hard service in Alaska as a sled dog, several awful owners who mistreat him, until he finally finds a man who treats him with kindness and respect. Along the way, Buck socializes with a wild wolf several times, and when his final owner is killed he goes off to answer the “call of the wild” and live with the wolves—returning once a year to the site of his final master’s death to mourn. It’s a surprisingly modern story that still carries an emotional punch and a thrilling sense of action to this day, which explains why it remains a perpetual bestseller. Dog may be man’s best friend, but there’s enough of the wild left in these beautiful creatures—and enough intelligence and heart—to keep them fascinating. No one will ever know for sure what’s in a dog’s mind or soul, which means people will keep writing bestselling books about those subjects.